Ever know a kid, maybe at school or temple, who had cancer? Its pretty scary to think about. Wouldnt it be great to live in a world where kids didnt get cancer? Alexs Lemonade Stand Foundation is trying to do just that â€“ find a cure so that someday kids dont get cancer. 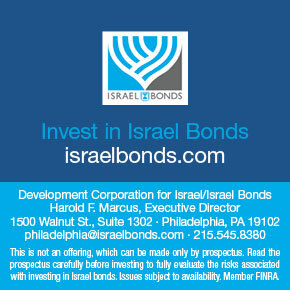 The best part is â€“ YOU can help while fulfilling your Mitzvah project. Alexs Lemonade Stand Foundation was started by a 4-year-old little girl, Alexandra Alex Scott. Alex had cancer, but decided that she was going to start holding lemonade stands to raise money that would help doctors find a cure for all kids with cancer. When other kids saw what Alex was doing, they decided to hold their own lemonade stands, and before you know it â€“ they were being held across the country. Alex died from cancer when she was only 8, but before she passed away, she was able to raise more than $1 million through her lemonade stands. Thanks to Alexs mom and dad and supporters from around the world, Alexs Lemonade Stand Foundation is still working to raise money and find a cure for all childhood cancers. So, heres how you can help! Just like Alex â€“ we love the idea of kids helping other kids. We have a bunch of ways that you can help raise money for kids with cancer, with one of the most popular being holding a lemonade stand. You can hold a lemonade stand at any time of the year, but one of the best times to hold one is during National Lemonade Days . During National Lemonade Days (June 8-10, 2012), people, including kids, from all over the country come together to hold lemonade stands and try to raise as much as possible in one weekend! Its a perfect time of year as school is wrapping up and the weather is warming up. You can also hold a different event other than a lemonade stand like a walk-a-thon or coffee house â€“ whatever youd like! The staff at Alexs Lemonade Stand is always willing to help out or work with you with any new and creative ideas you may have. Have a few coins laying around? Collect extra change, bring it to the bank to get counted and send it along to Alexs Lemonade Stand Foundation. Do you know that $12,000 in pennies is thrown away each year? Try out this super simple way of helping out kids with cancer with your friends, family, sports team or just start digging under the couch cushions by yourself! 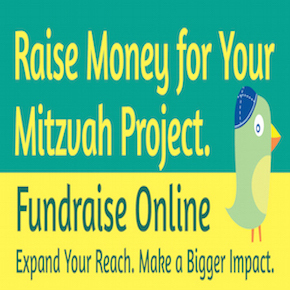 Check out our website, AlexsLemonade.org, for more ideas for your Mitzvah project and for ways to get involved with a great cause! Thank you for helping us in the fight against childhood cancer!